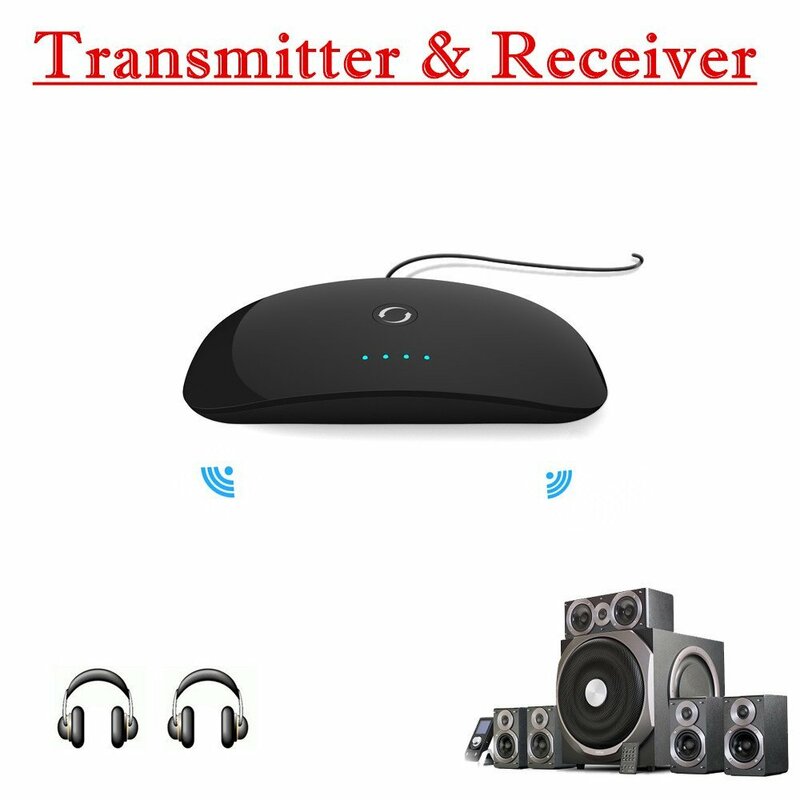 Home › Electronics › Newrice 2 In 1 Wireless Bluetooth 4.0 Audio Transmitter And Receiverbluetooth..
Newrice 2 In 1 Wireless Bluetooth 4.0 Audio Transmitter And Receiverbluetooth..
Bluetooth transmitter:Work with any type and brand of device such as TV, PC, CD player, iPod, Kindle Fire, MP3/MP4 etc. up to 30 feet working range. Easy pairing with Bluetooth stereo headset, headphones, speakers and other Bluetooth stereo audio enabled system and Support Two Bluetooth Headphones Or Speakers Simultaneously. Bluetooth Receiver: for Car or Home Stereo. speaker or car stereo via 3.5mm or RCA cable, and pair it with Bluetooth-enabled audio sources such as your smartphone, tablet or laptop to enjoy music wirelessly. it can still be paired to two of your smartphones or tablets, but the receiver can only receive the audio from one of the two paired devices. Bluetooth 4.0 with A2DP. Has an excellent battery life: the transmitter holds up to 10 hours and the receiver up to 10 hours. dual mode, you can use it plugged with AC adapter without worrying about the battery.